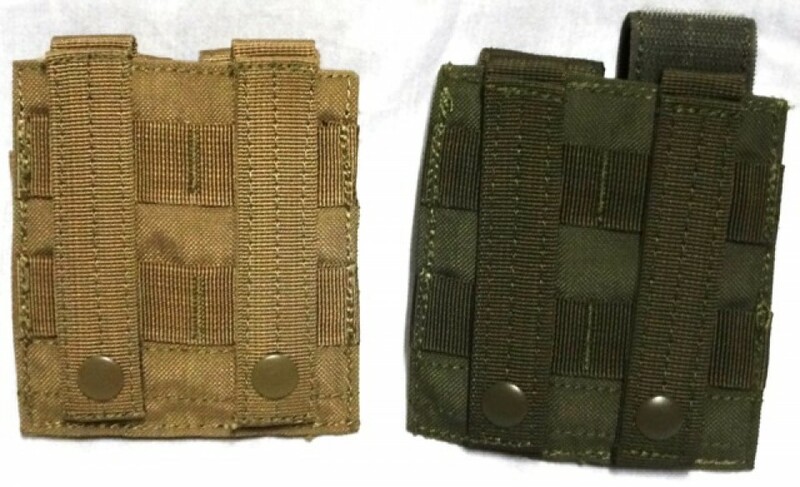 Double Pistol Mag Pouch. This pouch is designed to work with most single and double stack magazines. 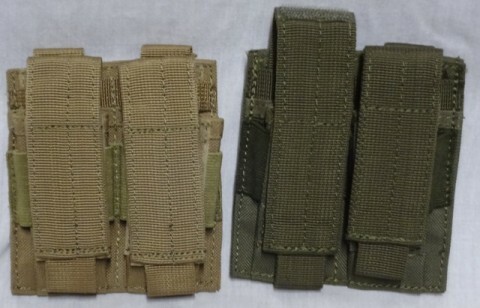 Pouch will hold two magazines and has MOLLE straps on the reverse. Available in Tan or OD Green.